Bushwalker: 'I bear the snake no grudges'. WITH the venom of a suspected tiger snake coursing through his veins, Tim Cadman's saving grace came with the sound of rotor blades echoing through the bush, near Ebor. Enduring three hours of excruciating pain, Tim was injected with anti-venom in Lismore and told had it been a brown snake - which has faster acting venom - he could have possibly died. "I owe my life to the Westpac Rescue Helicopter, the medical team involved and emergency services," Tim said in reflecting on the situation on Saturday, October 29. 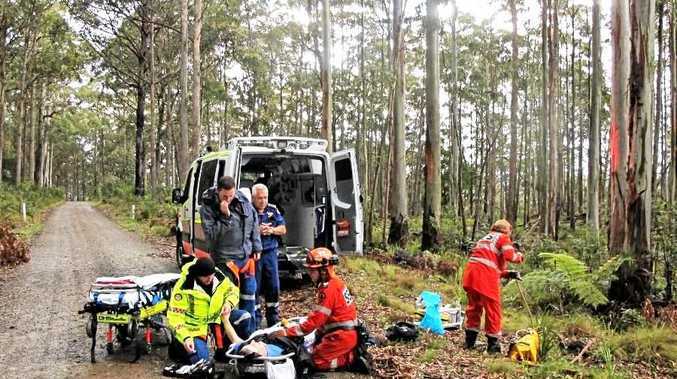 In a major rescue, the incapacitated bushwalker was airlifted from a remote location as a thunderstorm closed in overhead. 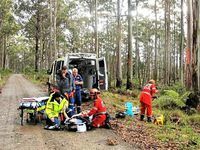 He had been leading a party of four bushwalkers down a remote track, some 40 minutes west of Dorrigo, when a snake struck biting him to the back of his left calf. "The snake was so bloody fast I didn't see a thing - I just heard a russle," Tim said. "Snakes here strike fast cause its warm, I'm use to Tassie where they're slow because its so cold. 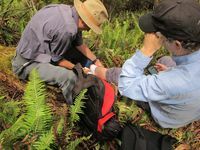 On closer inspection, it was evident to the bushwalkers Tim was nursing two clear puncture wounds synonmous with a snake bite. "My leg was wrapped in a compression bandage and after the emergency call was made I just had to lay down and wait," he said. "I'm an experienced bushwalker, my big mistake was not wearing gators, 20 minutes earlier I had given a speech about wearing long pants and making sure everyone was watching out for snakes. 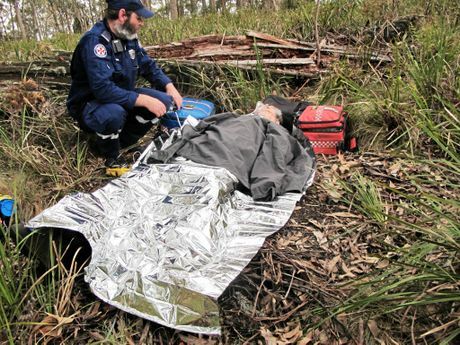 In a big operation, NSW Ambulance paramedics and police crews reached the scene and it was quickly determined the Bellingen man, 50, needed an airlift to hospital. "I was gagging and shaking - I started to vague out towards the end," Tim said. "It was a full catastrophe, it took three hours to get me out, the helicopter arrived they tried to winch me up, but couldn't due to bad weather. 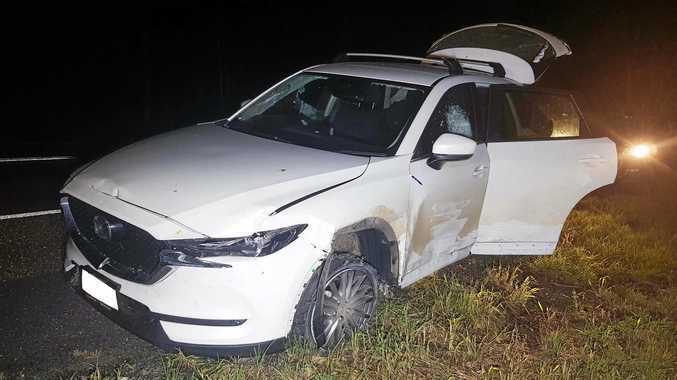 Tim was loaded onto a stretcher and driven to a nearby paddock then airlifted to Lismore Base Hospital and treated by clinical toxicologist Dr Geoff Isbister. "I am very grateful, to the nine emergency service personnel, who attended, Simon, Carlos, they did an amazing job, so calm, so professional - I bear the snake no grudges."